First Look: Web of Venom: Cult of Carnage #1 – AiPT! This April, a new terror rises. Venom and Carnage have been involved in some of the most horror-centric Spider-Man stories ever told. 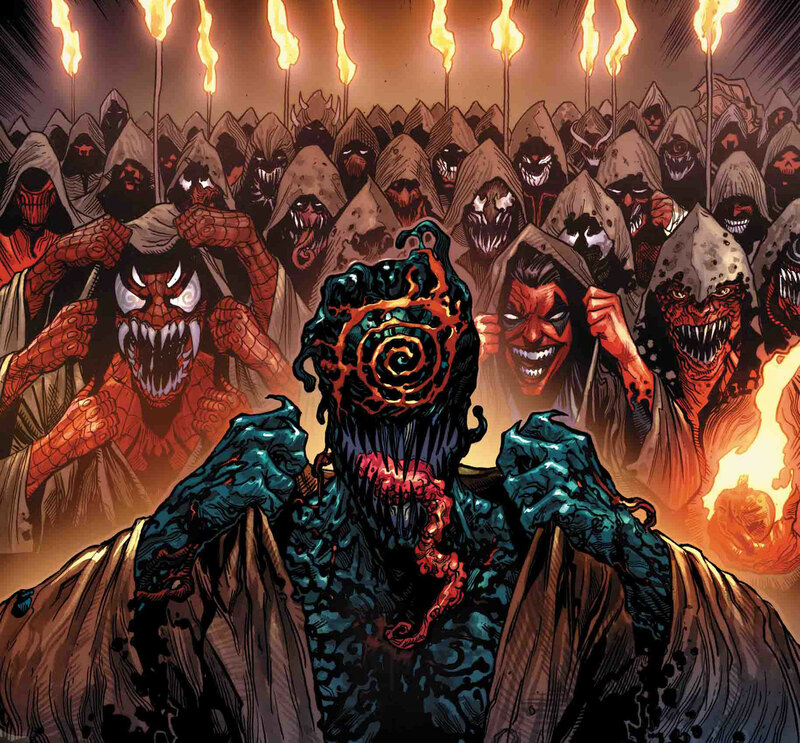 It’s going to get a lot scarier this April when Carnage’s reign grows even stronger. As I pointed out in my reflections on Web of Venom: Venom Unleashed, Carnage is growing in power and will soon be a threat to all of Earth. Watch out “Maximum Carnage” story fans! This April, horror maestro Frank Tieri joins forces with Danilo S. Beyruth in the Cult of Carnage storyline. It’s going to be intense. Read the full press release below with quotes from editor Devin Lewis and Venom writer Donny Cates himself too. New York, NY–January 18, 2019–A new terror rises on the fringes of the Marvel Universe, stirring in the depths of space…and on Earth, evil is rising in the name of the killer called Carnage! From the superstar team of Frank Tieri (Black Knight) and Danilo S. Beyruth (Man Without Fear, Web of Venom: Carnage Born) comes a new and deadly tale…WEB OF VENOM: CULT OF CARNAGE #1!